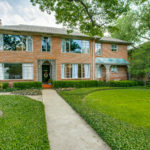 University Park has approximately 23,000 residents and enjoys the same hallmarks of Highland Park: excellent public schools, convenient shopping and public tennis courts, parks, and swimming pool. Shopping is available along Hillcrest/Snider Plaza, Lover’s Lane (known as the Miracle Mile), and Preston Center (the past site of the Exall families’ private race track when it was called “Lomo Alto” farm.) Most of University Park was developed primarily in the 1930’s, 40’s, and 50’s. As with Highland Park, it is a separate town with its own schools and delightful family personality. 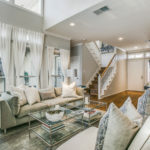 University Park offers a wide range of housing options, from some of the most expensive properties in the city in the Volk Estates neighborhood, to two bedroom cottages on easily maintained lots. All the houses and neighborhoods share a love of the community. 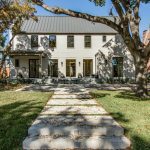 During the past 15 years there has been much new construction, and the options include substantial new two-story construction as well as stately older homes. 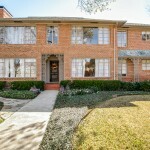 Both Highland Park and University Park are prized by local residents as well as families relocating to Dallas. The excellent public school system, highly involved local citizens and active families create a neighborhood environment that many families feel is unmatched in the city. 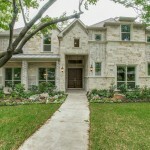 Park Cities consistently finds families who will live no where else in Dallas.